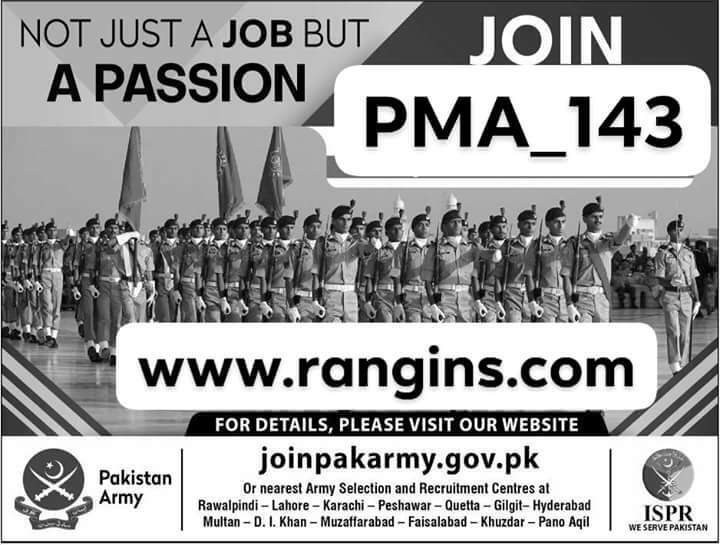 Join Pakistan Army Through Regular Commission Long Course. Welcome to our Rangins.com . We are going to intimate people who are willing to join Pakistan army. Opportunities are often being offered by Pakistan army for Pakistani nationalists time to time to serve the nation with their abilities and skills. 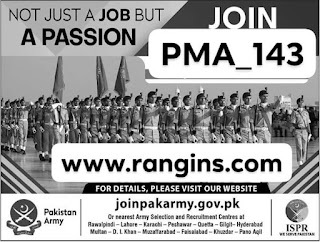 Now you can join Pakistan army as Commissioned Officer through 143 PMA Long Courses. The registration for 143 PMA long courses is now opened. The duration of the course is 02 years. The students who have completed their 12 years of education or 14 years of education from recognized educational institutions in the country are recommended to apply. Call letter will be issued for ISSB (139 PMA Long Courses). If problem to register please contact us.